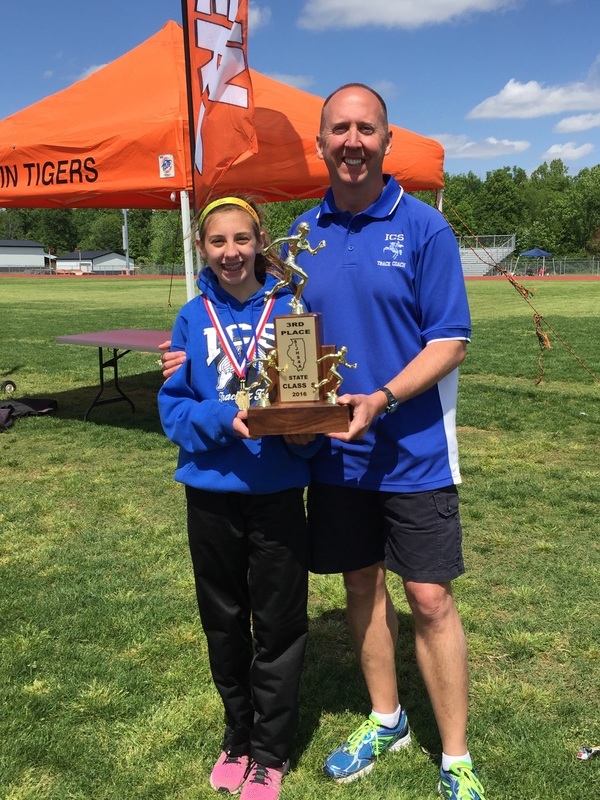 ​With only 5 athletes competing, the ICS Girls track team finished 3rd overall in the Class S State Track Meet in Herrin, IL on May 14th. Mary Wessel finished 1st in the High Jump with a leap of 4'8"
Megan Levin finished 9th in the Long Jump at 13'6" in Long Jump. 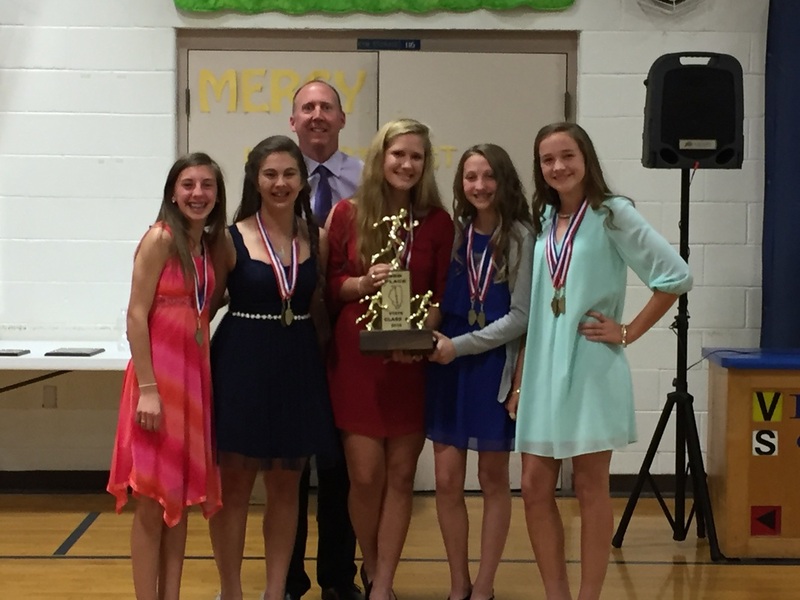 ​Congrats to the 5th grade girls Volleyball team and Coaches Kathy Schmidt and Todd Biske for taking 1st place in the Holy Trinity Tournament! 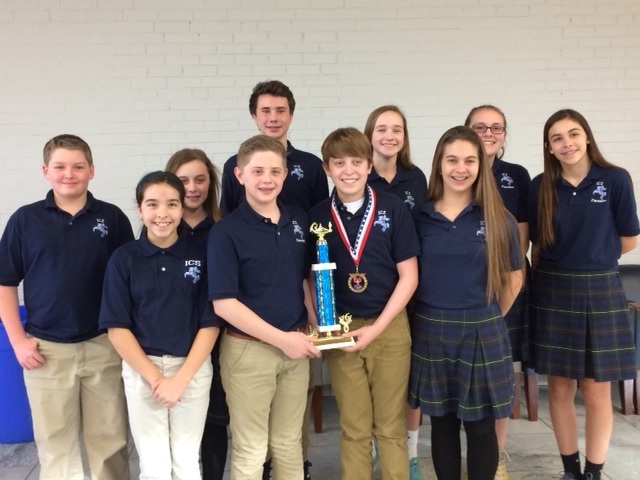 Diocesan Chess Meet: We received second place in the Diocesan Chess Meet March 5! 35 ICS students attended the meet at Blessed Sacrament and there were 180 students in attendance. Tyler Stern led the way with a perfect 4-0 score and James Ramette was undefeated with 3 wins and a tie. 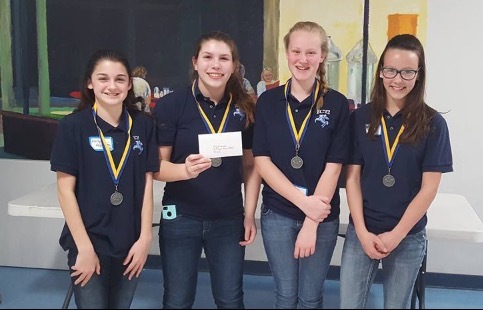 This meet capped the end of a great "season of second places" despite never sending a full team due to other academic competitions. Students are involved in sporting events, math competitions, science olympiads, scholastic bowl meets, and charitable endeavors. This lends the opportunity for a variety of students to step up and be leaders, and all were great contributors. Thanks to Coach Cyra Herrmann, our Chess Team, and our parents for transport! ​ICS took First Place Saturday at the Mater Dei Invitational Scholastic Bowl Tournament, Kaylum Furlow led the way for the Crusaders in the 25 school match, having 25 toss-ups to his credit and taking second place individually and Ben Traxler scored some critical toss-ups to secure the win. 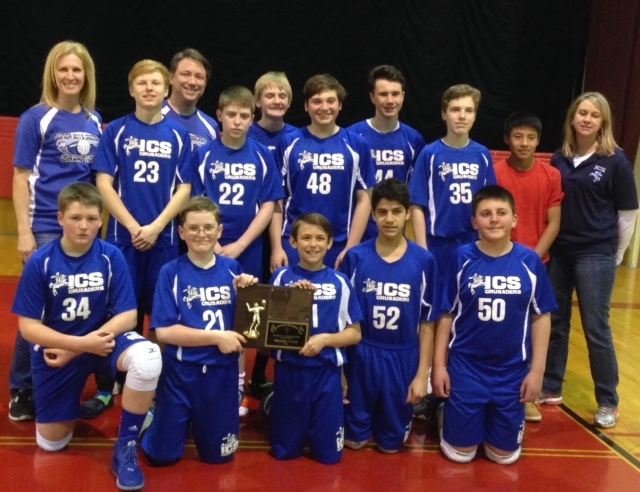 ICS had 7 wins for the championship, beating Edward Fulton of O’Fallon twice (pool play) 230-150, and 150-85, Highland Middle School-240-90, St. Mary Centralia-225-55, St. Ann Nashville-230-25, Blessed Sacrament-190-135, and Amelia Carriel of O’Fallon-105-90 for the championship. The team is coached by Tiffany Taylor, Dan Kassebaum and Jen Schauster. The ICS Varsity Team is currently 16-3. 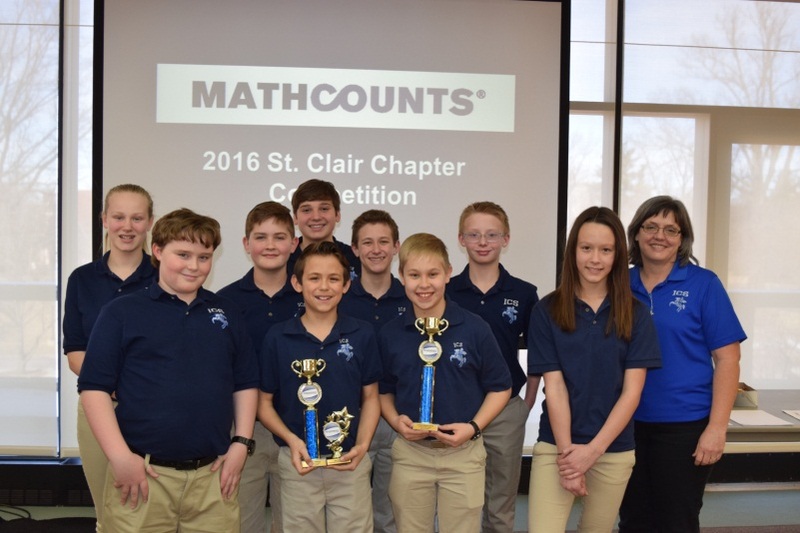 ICS brought home First Place in the medium School Division of Mathcounts sponsored by the St. Clair Chapter of the Society of Professional Engineers. ​ Spencer Biske placed second over-all and qualified for the State meet in April.